GUNS N ‘ROSES and Hissage masterpieces “WORLD ON FIRE” which became a can of satisfaction reminiscent of the times, SLASH you came back to Japan. The one that was complete recording at ultra-high quality audience recording of angry waves live in the “February 9 Nanbahatchi performances” from the Japan tour tour the first day is here! Recording person, Mr. your familiar “West strongest taper”. Only Mr. that we have created a number of name recorded in the same venue in, you can expect a high quality of peace of mind, but this time it is imposing appeared in course of as press CD with a perfect sound quality than always to far exceed the expectations. Speaking of SLASH, but we came to Japan at that Ozzfest Japan 2013, as the Japan tour since March 2011. The 2011 tour, for which has been set in the schedule of March 14 to March 18, stop all except the Osaka tragic earthquake immediately after impact. This tour is very to SLASH, has a meaning of refocus also for the fans, any performance also full of spirit, has sparked a storm of diverse content and set list of daily specials, and a great play and enthusiasm in various places acclaimed. Of course, this Osaka also has become a great content live. Live start from previous work good glue from “APOCALYPTIC LOVE,” “You’re A Lie”. Overwhelming sound like clear and powerful were living together from the beginning of one sound is gone out from the speaker. Sound also I very close, but in fact, recording position second floor. Says West strongest taper who who knows the venue acoustic, “I Locle if this place! This venue” likely they are. In fact, “and far from the stage, in sense of distance is born to the sound?” And Geki is near the sound of the like overturn the concept of coming Todoroi from the master. Vivid protagonist of guitar SLASH such as line recording. Since equalizing feeling is almost no natural sound quality, it might be better When asked by a little up the volume than usual. “Nightrain” of then was started from 4 count of cowbell is GUNS N ‘ROSES! Venue to suddenly masterpieces to heat up. While approaching to close the more bizarre musical tone, sounds pretty far is tremendous upsurge of 1 floor seats. Well, … what a such thing as “this venue if the second floor.” Recording person, rather than just venue acoustic rich live experience, know until either the audience is what glue to each venue. Audience recording is sound largely in the arms of the taper, but just Takumi technique! Indeed, people called “strongest” is different …. 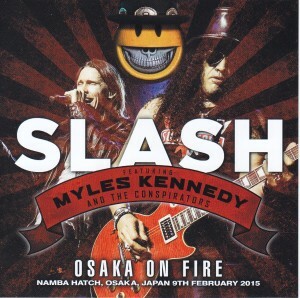 In Japan tour of all three performances, this Osaka concert is also the day the song of GUNS N ‘ROSES is most showcase. 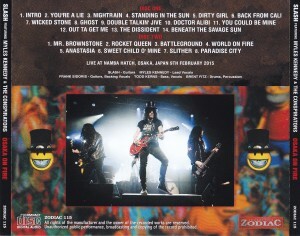 GUNS N has been showcased all eight songs ‘song of ROSES, the “Nightrain”, “Sweet Child O’ in Mine” not be removed absolute such as “Paradise City” masterpieces, became the most Kiki far from of this live “Rocket Queen “, joined the suddenly set list from the Netherlands of 24 November 2014 (not play now even by the upstream!) rare song” Double Talkin ‘Jive “, one song” You Could Be Mine of this tour of eyeball “(suddenly play is not listed in the original set list in Osaka), and has been showcased in Osaka only as” Out Ta Get Me “and” Mr. Brownstone “. Action of SLASH of those days and immutable, guitar tone, phrase also GUNS N ‘you the majestic figure of ROSES era to flash back. Each time GUNS N ‘ROSES masterpieces that will not fade will showcase, audience that reaches a peak of tension. Many times even Osaka enthusiasm …… wow to repeat the climax several times. Of course, plenty of play from became a can of satisfaction “WORLD ON FIRE”. “Dirty Girl,” “The Dissident,” “Battleground” is, this day premiere. Unbelievably it as being very first time showing off the perfect performance. 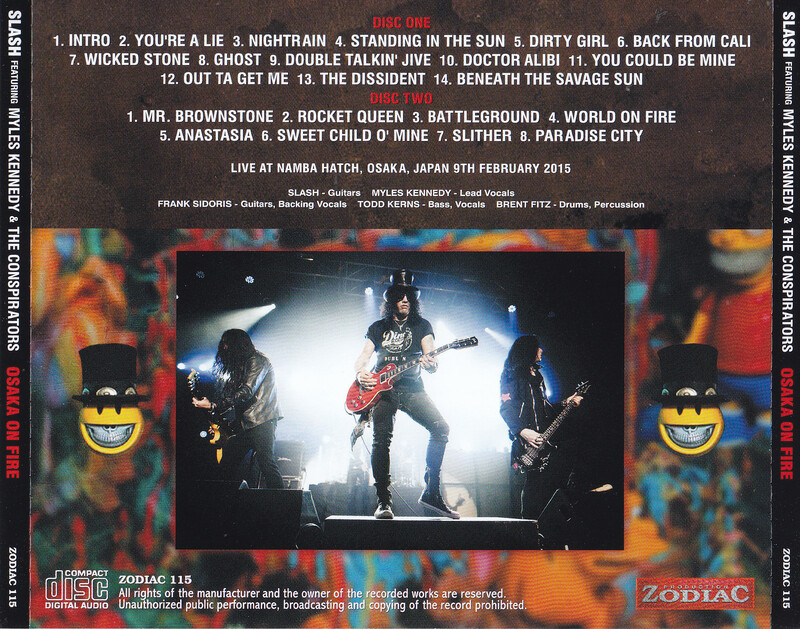 Album a good song Guns color was stronger with the title song in “Wicked Stone”, the rare song that has been unveiled only in Osaka. 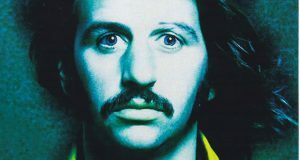 And, but already the album title song can be said to have reached the realm of classic “World On Fire”, the venue has given rise to a chorus of greatly climax fan. The first solo album of SLASH “SLASH”, previous work “APOCALYPTIC LOVE”, and VELVET REVOLVER of set list that played even songs of SLASH history, covers the classics that we have produced until now was SLASH solo concert in Japan in history, the strongest of it is best song selection. Playing not only the set list also great. Play of SLASH has Saewata~tsu to dull over the whole volume. That is a masterpiece of play of prime place is “Rocket Queen”. Long solo spanning the 18 minutes it has been incorporated into the song sublime (track time 2: 20 to 20: up to 20)! Play approaching Kiki defeat playing over the body and soul that passion is Flaring in Suponteniasu is, all the fans, though, is a must listen part that I would like you to listen to all the people who love rock guitar! The medium-term LED ZEPPELIN, such as reminiscent of Jimmy Page of age (and in many ways) thrilling play not miss heard also, even for one sound. This long solo, really seems to play dictates of feelings, length changes every time live. This Osaka performance record of the “18 minutes” is the longest of the three, even during the performance. Also listen to far from the sound of the best Les Paul world. Sweet and thick Les Paul that nothing but SLASH sound, “Sweet Child O ‘Mine” Is it a whopping great tone of intro. You let me get drunk enjoyed the mellow tone as if aged wine. And, recording that the guitar sound, captured largely without beginning to end to collapse. You look amazing! 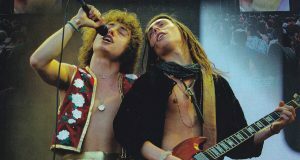 Now, equal partners and became also great word Miles Kennedy vocal of SLASH. Longer without the presence of Miles is not an exaggeration to say that it is not done the activities of SLASH. Relaxed, clear voice with Axl Rose, I have sung with good songs owner sang super unique singing voice, such as Scott Weiland. Now the hard rock scene, vocalist that can present a high level of performance up to this point it is enough to not think a little float. Live up to about two and a half hours to end among the large upsurge in the classic “Pa radise City”. Until the end of a show of announcement following the feedback sound of 2 minutes close intense guitar also fully recorded. You can soak plenty to great live lingering. Our shop release sold out in a short period of time the other day, was a monumental work of early also Ganzubuto among fans “RITZ 1988: DEFINITIVE EDITION” to listen to, and I think again GUNS N ‘re-recognized who also covered the splendor of ROSES you. Band is present even now, but unfortunately its contents, completely different band and those days. GUNS N ‘ROSES reunion of the original members of the world aspire to, you will not be expected probably anymore. 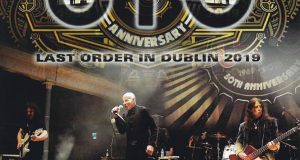 Aroused obtained feelings in the chest with: “RITZ 1988 DEFINITIVE EDITION”, please try by all means listen to this live. Spirit Guns of those days had is, I think still of being noticed in that alive in the SLASH now. It is by no means means “SLASH = GUNS N ‘ROSES alternative product”. Poison and pomp that Guns of those days had. SLASH is not only inherits them, continue sublimed higher. So, Masa now, I SLASH has entered a new peak. And meet the expectations of all the fans, was Nejifuse even people not interested, this SLASH Japan tour. The best one among them, it is live album was put together in one in craftsmanship. The containment the SLASH, which celebrated its time of climax to the press 2CD again, this weekend, and will deliver to you.